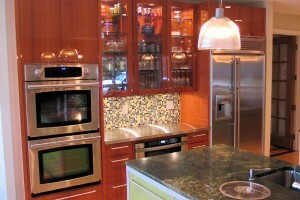 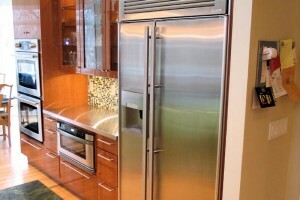 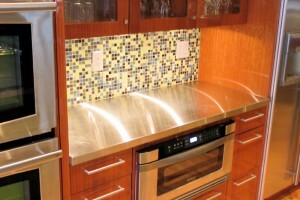 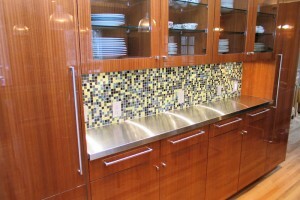 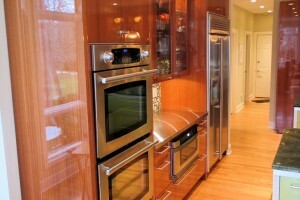 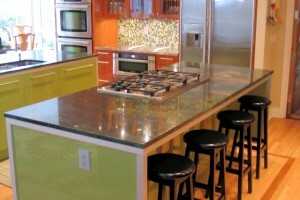 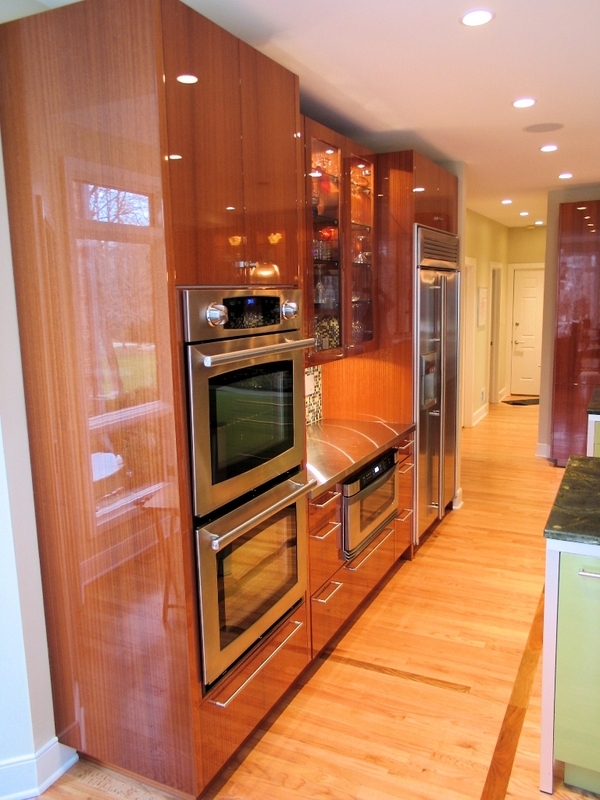 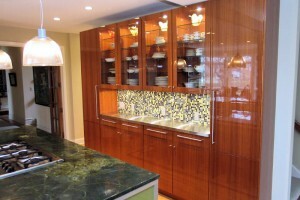 This kitchen expansion project was featured in Indianapolis Monthly’s Home Magazine. 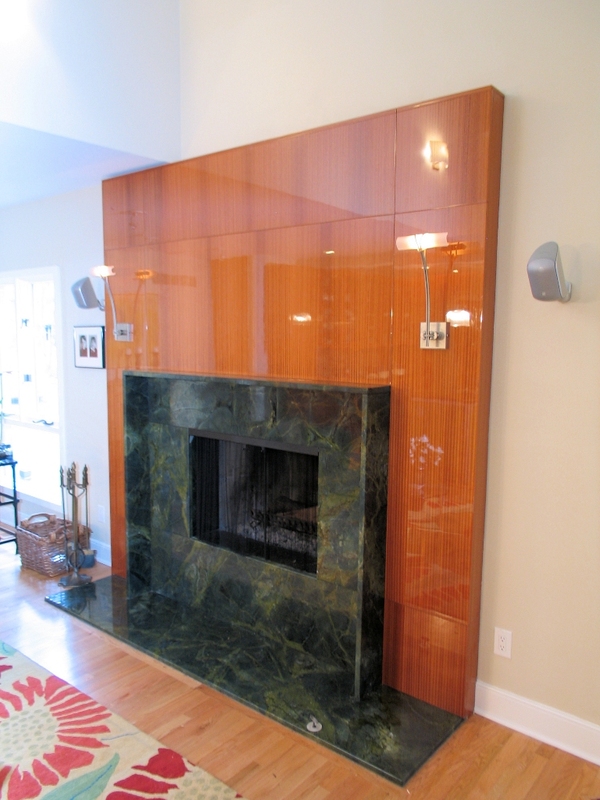 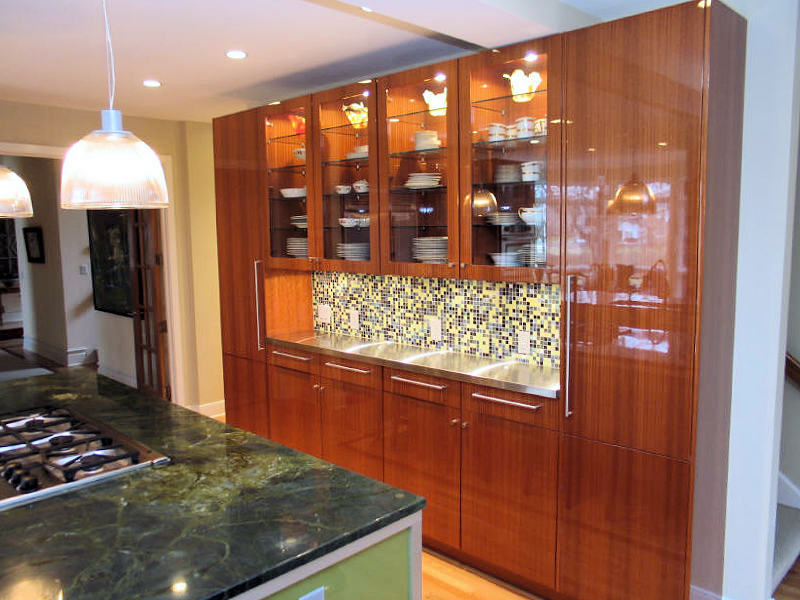 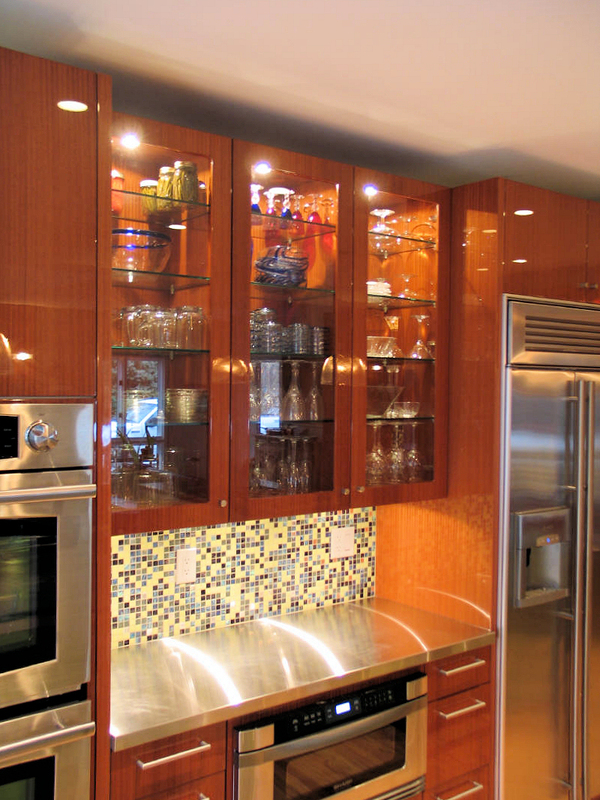 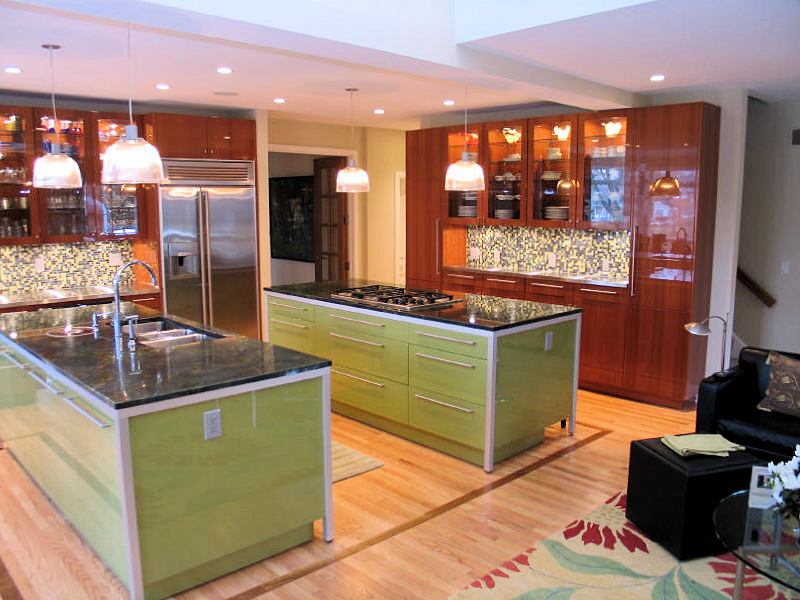 The original cabinetry in this home was a simple laminate, and the floor plan was a much more divided space, with a knee wall and peninsula separating the living room from the kitchen. 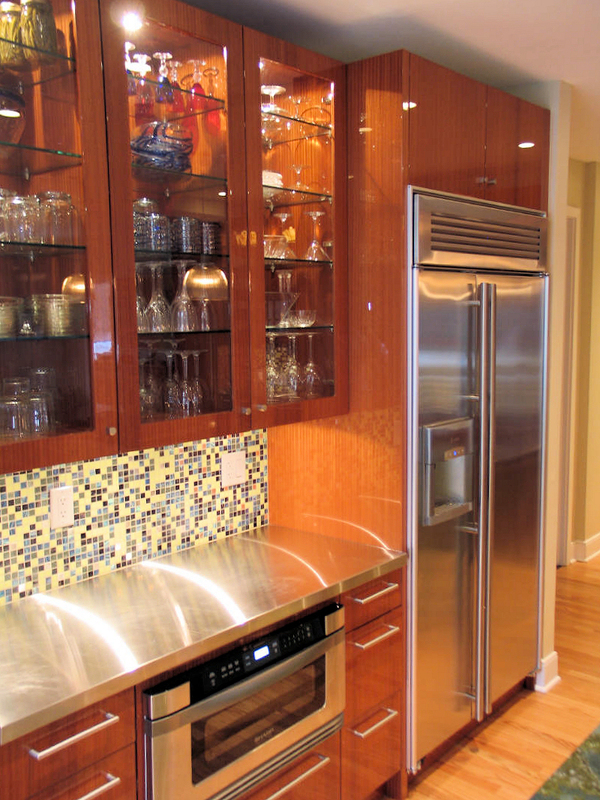 In addition to upgrading cabinets and appliances, we removed an “L” wall section and installed a large support beam to support the second floor over the kitchen. 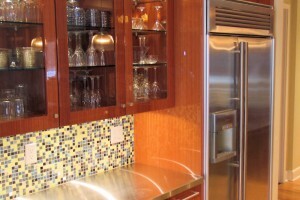 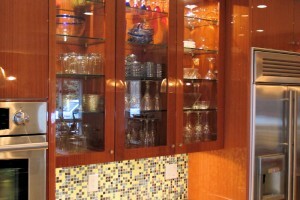 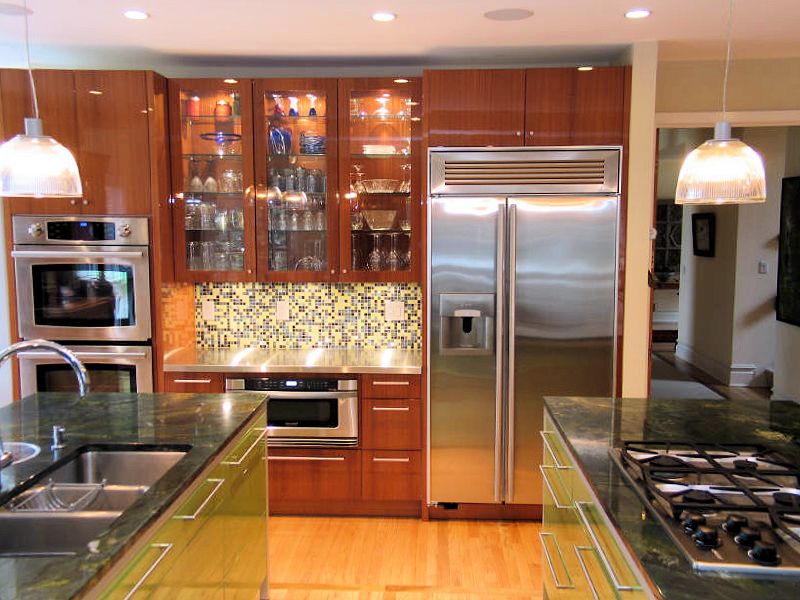 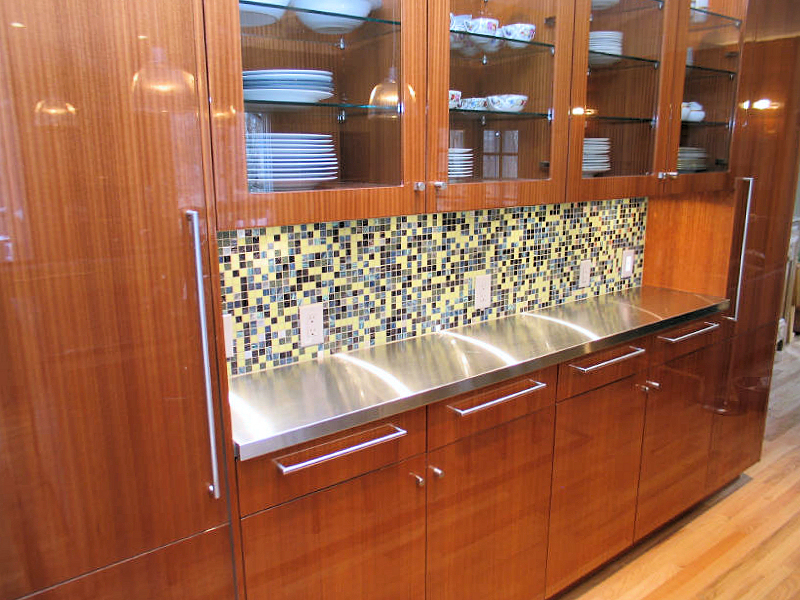 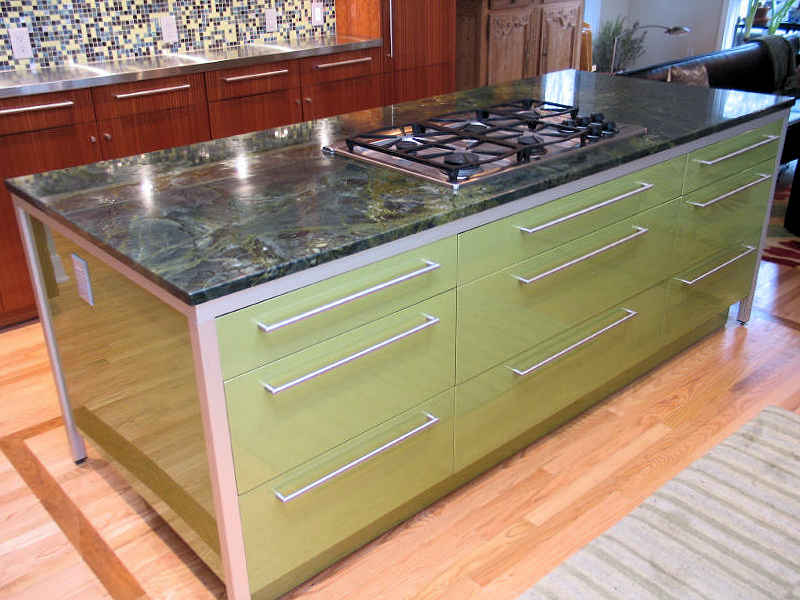 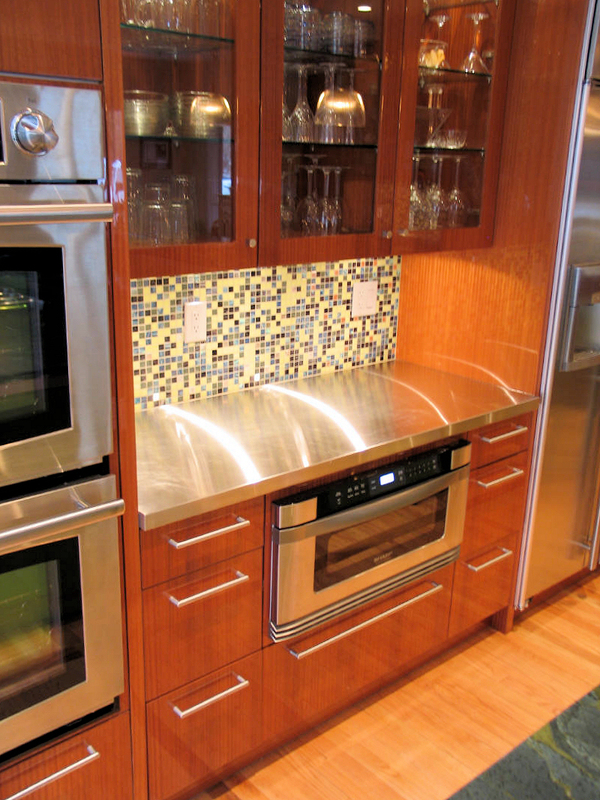 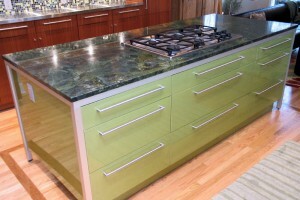 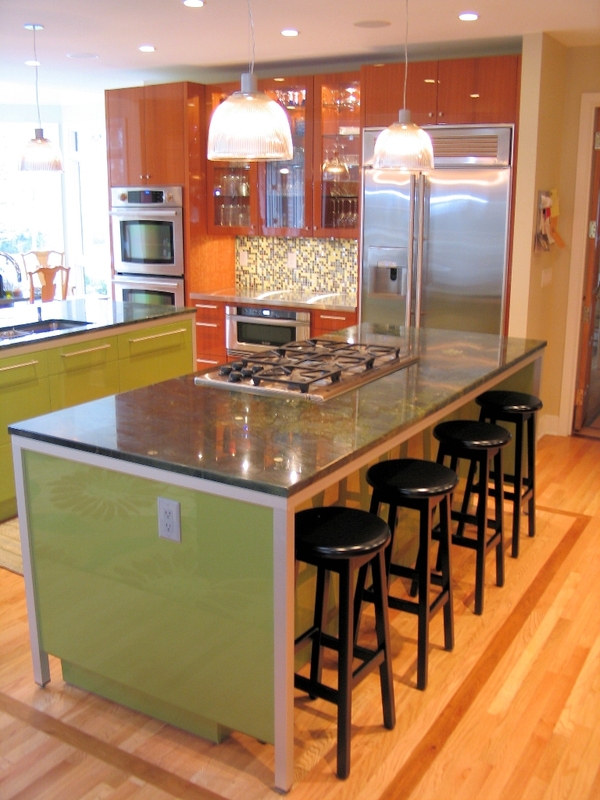 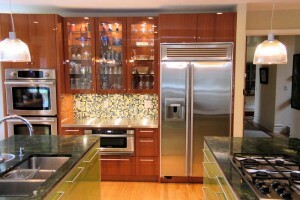 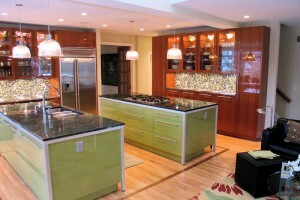 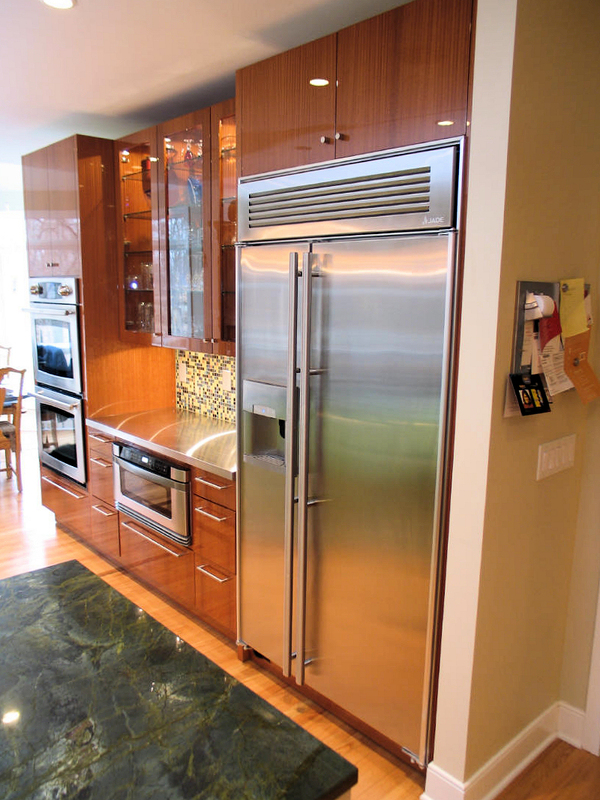 This opened the kitchen completely to an adjacent living room, and created enough room for two large islands. 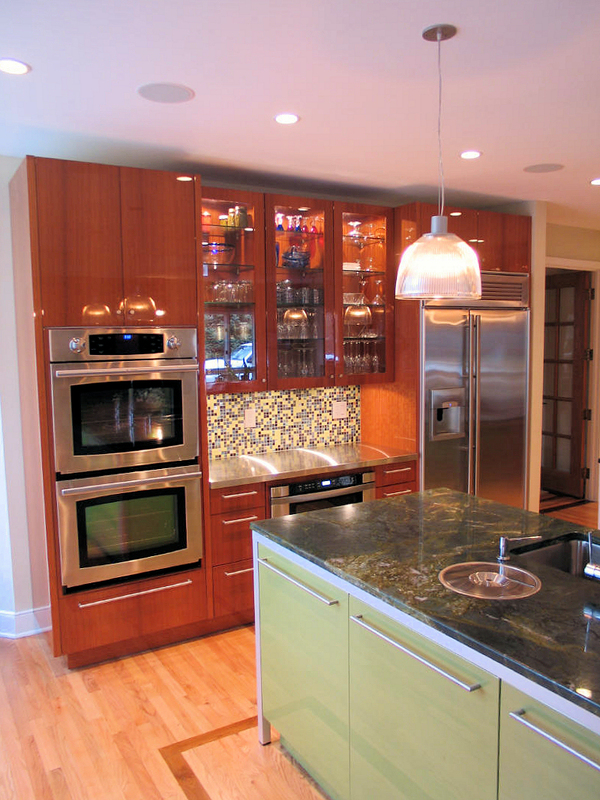 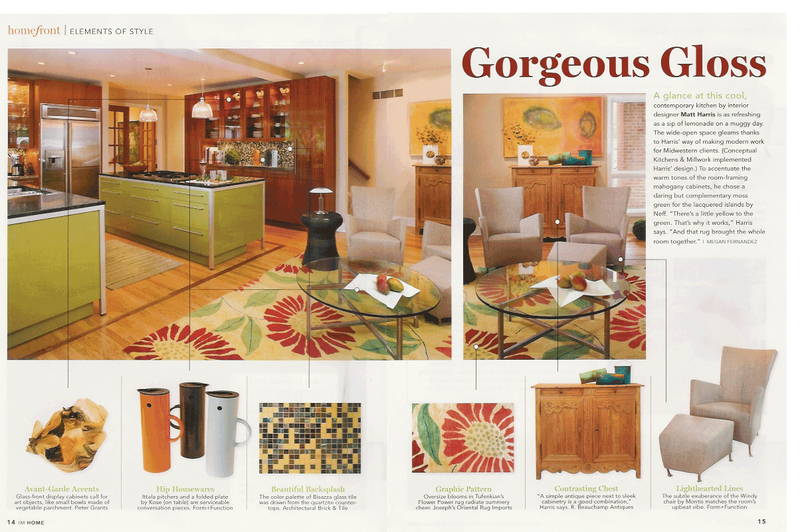 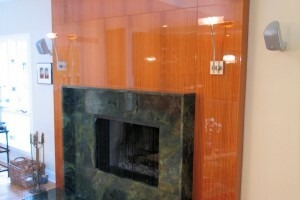 This Indianapolis kitchen remodeling project appeared in Indy Monthly's Home Magazine.